There are a huge number of benefits you can reap at operator’s site by signing up to a unique Pinnacle VIP code, a code that, amongst many other things, allows you 0.3% cashback on all wagers you put down in the casino, removes the limit on winning bets and offers high limits to everyone who plays. So how do I use the Pinnacle VIP Code? Pinnacle VIP Code: So what did we think? Most online sports betting platforms offer some form of bonus for signing up or a welcome offer, and Pinnacle is a little strange in that it doesn’t seem to do this, however it’s a bit different to other sports platforms as it has a completely different set of rules for winning accounts and betting limits. At Pinnacle you can make a bet on major sports events with anything up to five figures, with the potential to make some serious money. Those with a lucky streak won’t be punished at Pinnacle as they have no rules on how many times you can win (very unusual for a service of its genre). The odds are very fair and the service will even let you bet on all possible outcomes of an event. Unfortunately, Pinnacle is very North American, meaning some of the more “out there” sports aren’t available to make money on. However it’s set up is simple and if you’re familiar with the major North American sports it’s very easy to understand. If you’ve ever used a coupon to make bets in a bookies shop you’ll breeze through the Pinnacle betting system. There are even step by step guides to placing bets for those unfamiliar with the system and articles to help you out, analysing different strategies, markets and previews. Pinnacle is pretty huge in the eSports betting game, with an award winning hub that is extremely professionally done. It’s a completely different design from the sportsbook and you can bet on basically all the most popular eSports competitions including League of Legends, Counter Strike and DotA. If eSports is really your thing we’d highly recommend trying out Pinnacle. It’s super easy for new betters to understand with loads of handy guides on the platform to do it with. Last but by no means least in the game/betting categories at Pinnacle is the casino, where you can play a huge variety of different table games, slots, video poker and a number of other things. Choosing this option also gets you lifelong 0.3% cashback on every bet you put down at the casino, whether you win or lose. This is a huge advantage during games like blackjack or roulette where the house advantage is often high, with a huge expected return of 96% or more. Pinnacle also has a live casino, where you can bet on classic games like baccarat, roulette, casino hold’em or blackjack. What’s more, the live dealers make you feel like you’re playing in a real life casino. If you are Canadian we’d definitely recommend having a look at Pinnacle, no matter which of the three options we’ve outlined today that you’re into. The eSports option gives the platform an interesting edge where its design and simplicity really aids the process, and we haven’t found another eSports service that beats Pinnacle in this. 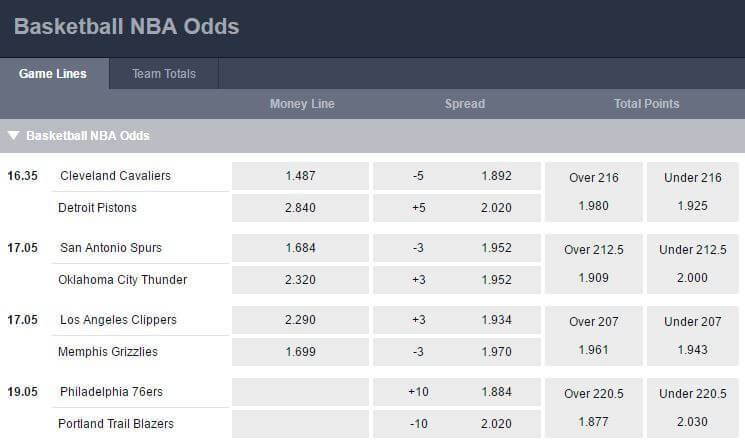 The Sportsbook is classic North American, which of course means the variety of sports is lower than that of many other bookies we’ve covered on The Puck Line in Europe, however for handicaps, over/unders and money lines you’ll get some pretty good odds with this service. The Winners Welcome Policy was something we found to be unique with Pinnacle, a policy that doesn’t discriminate against you if you’re winning often. The biggest minus we’d give to the platform is the absence of any welcome bonuses to reel in new players (or to re-entice existing players). Even when you make a new account, it’s still only 0.3% cashback with the casino games, and no offer at all on the sports. That’s a little off-putting when you contrast it with other international sports betting platforms that accept Canadian players. However this drawback wouldn’t stop us from creating an account and playing with Pinnacle VIP Code, as the odds are good and they don’t punish those who are good at reading the game. Pinnacle has also released an app so players can keep up to date on the go. It’s called Pinnacle Lite and you can get it for iPhone and Android. Bear in mind that it’s not easy to find – you have to search a little bit on the app store before you come across it. It seems like they don’t want it too much in the limelight until they’ve gotten it perfect. Nevertheless, the app for iPhone has a fairly good range of functions and betting markets, although nowhere near as many as on the official website. For some reason it’s only available in Sweden, Finland, Canada and Ukraine at the moment (big ice hockey countries maybe?) however the Android app can be downloaded in any country on the globe. The mobile website has the same range of betting and casino options as the main website, so maybe it’s a better option at the moment than downloading the app, but keep your eye on the app, as we’re sure it will be developed in the future. On the mobile website you can still also create an account with the VIP code like you can on the regular website. The majority of these methods are completely free, so you won’t be charged for your initial deposit even if new promos do come out with the Pinnacle VIP code. One important thing to remember is that you can only withdraw your cash once a month with the service, so it’s a smart move to budget before you play so you aren’t charged for further deposits. Sadly there are no live chat or telephone services at Pinnacle as it is still quite small, so you’ll have to contact them the old fashioned way if you have any problems, by email address or online contact form, and the staff there should get back to you pretty quickly.